It used to be that if you wanted to continue working on a document on a different computer, you would have to use a flash drive or send an email attachment to yourself. That is no longer the case. 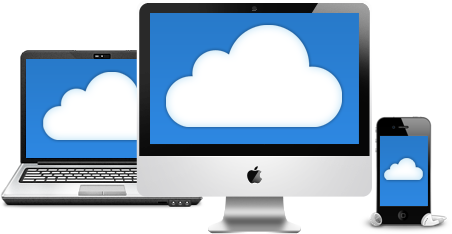 Through the innovation of cloud storage, there is a more convenient and easier way to access your data on any device. It is all too common for hard drives to crash. It is an all too common fact of life these days. When they crash, they often take priceless videos, photos, and other files with them. You know how important it is to back up your files if you have ever lost any of these things in the past due to your hard drive crashing. JustCloud does not just allow you to access your data anywhere through the magic of cloud technology, it also backs up any data you have automatically. JustCloud backs up all of your data to a secure location making it an important online data backup service. 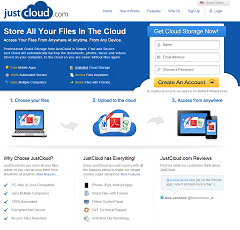 Many online backup services are just resellers of other company’s software, JustCloud developed its own software. There are a wide range of features that come with JustCloud’s plans. Foremost among them are the backup options. You can schedule your backups to occur at a specific time daily, weekly, or monthly. There is also the option to initiate automatic backups of any changes to new and backed-up files added to a backed-up folder. This keeps files secure between scheduled backups. Through using online storage, files and folders are shareable. JustCloud allows you to share entire folders with colleagues and friends. This features also works with sharing files via Facebook, Twitter, or email. You can also create custom links to specific files you want to share with others. JustCloud also provides a spectrum of features not often found in other cloud storage programs. If you accidentally delete an old version of a file or you want to restore a previous version, JustCloud can help you with that. They provide file versioning abilities that give you access to all previous versions of a file. There is also a detailed log of all actions you have made. In addition to the above, there is no limit to the file size you can upload. So, if you have a long movie you want to store, JustCloud can handle that. A preview of each file is available, so you can see what you are downloading from the cloud before you actually go through with the process. Just about any digital file can be stored in JustCloud, and these files can be retrieved in a plethora of ways. You can access your account through any connection to the internet. You can also sync your data between an unlimited number of computers using their online storage service. This makes portable hardware such as flash drives obsolete. You can just access any of your files while you’re on the go. The desktop app for your computer makes it so you can just drag and drop files into the online storage. 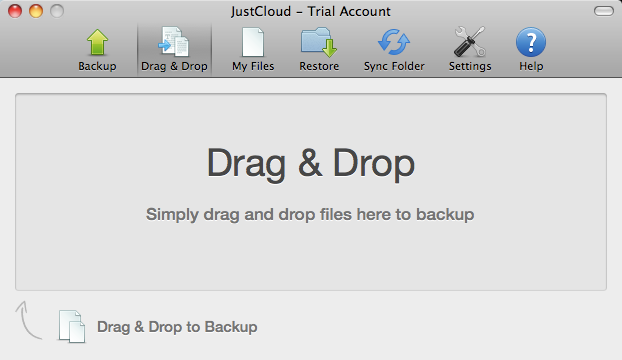 JustCloud blows away the competition with the amount of storage space it offers. 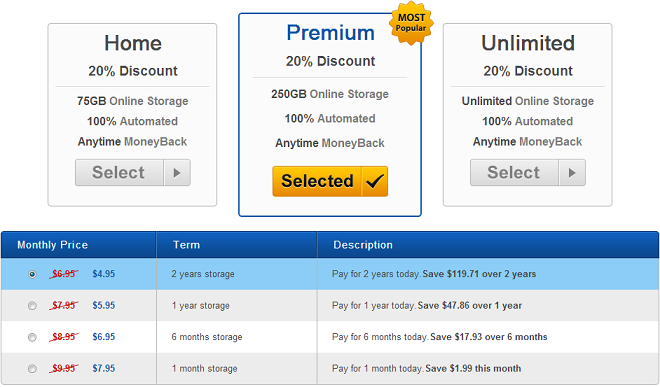 JustCloud offers unlimited storage. JustCloud has no cap on the amount of storage you can use. This is virtually unheard of in the cloud storage industry. You can use it without fear of having to upgrade your plan to something more expensive as you store all of your videos, text documents, and photos. JustCloud takes security seriously. This is an important characteristic in any online storage system. Logging into your account means meeting strict username and password requirements. All digital transfers utilize SSL encryption. One of my favorite features of JustCloud’s file sharing is that you can set permissions for specific files and folders. This means you can allow some people to edit specific documents while others only have the ability to read them, and others may not be able to see the files at all. These permissions can also have an expiration date. JustCloud offers cloud storage solutions for businesses and individuals. Based on commitment level, there are four plans for individuals. One month costs $9.95, six months is $41.70, one year is $71.40, and two years is $118.80. The two-year plan is 50 percent cheaper than if you were to purchase the plan month to month. In addition to their individual plans, JustCloud also offers solutions for businesses both big and small. They have two business plans: the Enterprise Plan and the Business Plan. The Business Plan costs $19.95 per month, which can vary based on add-ons and level of commitment. The Business Plan provides 100 GB of storage. If your company needs more than that, it is $4.95 per month for each additional 100 GB. Also, the plan starts out allowing five different computers. If additional computers are needed, they cost an extra $4.95 per month for each computer. If you have a larger company, the Enterprise Plan is the way to go. For $49.95 per month (which may vary based on add-ons and commitment), you get 500 GB of storage and the ability to hook up 20 computers. These numbers can be enhanced for $4.95 per month for each addition of 100 GB of space and $2.95 per month for each computer over 20. Also, be on the lookout for the secret link on the JustCloud site. If you find it, you can get 35% off your purchase. JustCloud has technical and customer support representatives available seven days a week, 24 hours a day. For any technical problems using their online storage service, you can reach JustCloud by email. There is also a phone line you can call for all of your renewal, sales, and billing questions. The JustCloud site offers many support and help options. There are video tutorials covering just about everything you could need to know. There is also a very detailed and extensive FAQ section that provides much of the guidance and assistance you might need. To test out their customer service, I sent them an email at three in the morning to see how available they are at odd hours. I was impressed that I received an answer within the hour. I was not every specific in my email, so they gave me a range of answers covering many different possibilities. As far as technical issues with JustCloud, I could find none. Everything ran like clickwork. I search online storage service discussion forums to see if others had complaints about JustCloud, but I was not able to find anyone who had any real issues with them. One feature I noticed was missing from JustClouds services was the lack of a live chat. I like this feature on other sites because it makes it easy for me to get quick answers to any questions I may have. They were fairly fast at getting back to me via email, but with email, I have to keep checking my inbox for answers. JustCloud has a laughably easy to use interface. It may take a couple minutes for you to figure out how it works if you have never used cloud storage before, but for the most part, it is very intuitive. There really no need for an extensive computer background, or any background at all, to make sure of the syncing, file sharing, and back up services. Everything is accessed through your JustCloud account. With a click of the mouse, users can see how much space they are using, information given in great detail about each backup, and details about which files were backed up during each backup. You can also track the progress of your current backups via the JustCloud dashboard. All the tools and features you need can be found in the online account of JustCloud. That means you do not have to go in search of specific functions and tasks. It is all right there. Controls, tools, and menus are straightforward to use and easy to find. 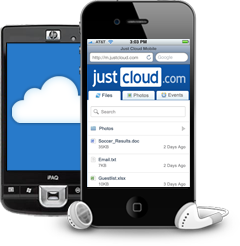 JustCloud provides terrific customer support, unlimited space, rich features, and unparalleled cloud storage. The simple interface make it easy to get started and sync and backup files from any internet connection. JustCloud provides a fairly simple service, and they do an extraordinary job in delivering it. I recommend JustCloud to anyone who uses a computer. It is the safest way to protect your data whether you are sharing or just want to protect it from being accidentally deleted.